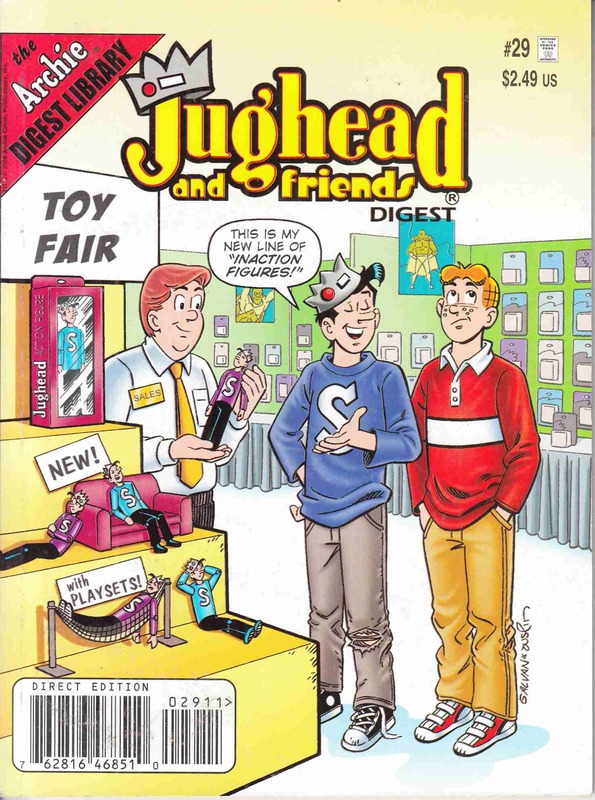 When marketing research shows teens are overscheduled and overstressed, Mr. Lodge decides what his company needs is an in-action figure - and what better model for it than Jughead! Then, Jughead's reached the bottom of his pockets, and even his pockets' holes have holes! But there's 'A Change of Fortune,' in the form of a comic shop giving away cash prizes! Guest-starring the owners and employees of Hi De Ho Comics! Plus, other new and classic tales, games, pin-ups, and puzzles!